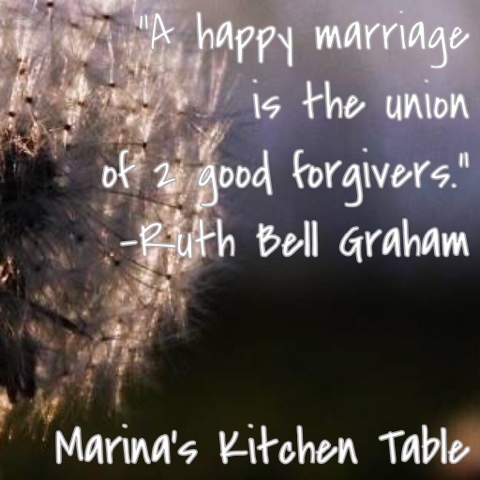 Marina's Kitchen Table: Happy Friendship Anniversary! Yes. I'm making up a holiday, but it's one worth celebrating! 32 years ago today, after the Wednesday night Bible Study, I met this tall, towhead, surfing cowboy that loved Jesus. I felt safe when I met him, like he would always protect me. It was as if I finally found my big brother (in the Lord) even though he was younger than me. He says it was love at first sight... I just felt so peaceful. I knew we would be friends forever. The next day he said he would marry me and we began pre-marital counseling. A few weeks later, he got on one knee and presented the ring with an official proposal of marriage. Six months and a day from the day we met, we were married! Thank you to all of you that have prayed for us over the years. Marriage is hard work, and a good one requires constantly dying to self, and lots of forgiving. Thank you Mark Bromley for the first 32 years of friendship, and 31½ years of marriage. Thank You Jesus for the example of sacrificial love and equipping us to fight for our marriage commitment.